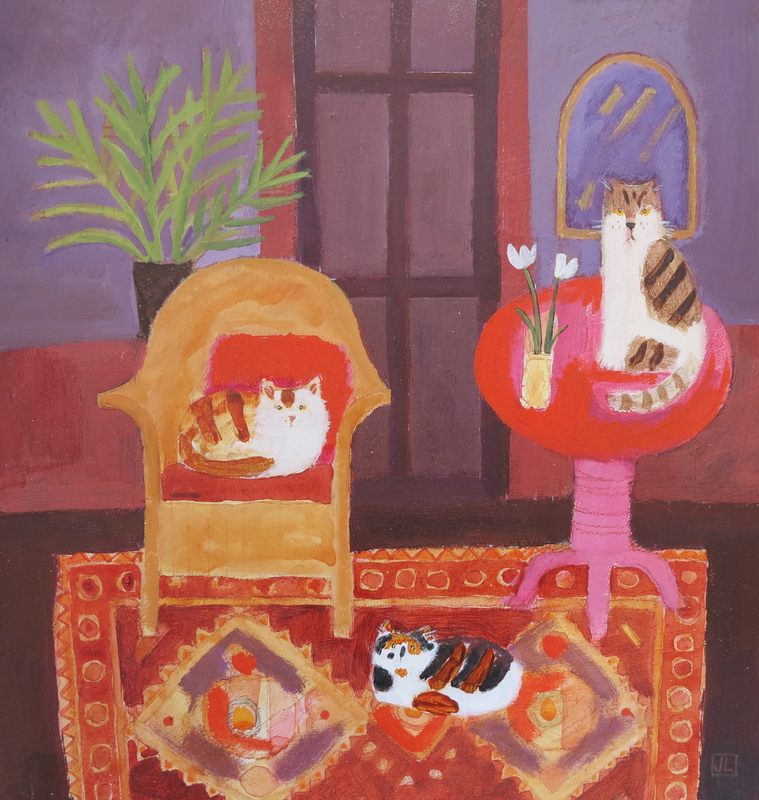 This entry was posted in acrylic, Cats, Domestic still life, Exhibitions, Uncategorized and tagged acrylic, art, blog, cats, colour, English, exhibition, friends, ginger, home, interior, living in london, London, painting, paintings, Royal Society of British Artists, Royal Watercolour Society, still life, tabby, tortoiseshell, winter. Bookmark the permalink. 2 Responses to Waiting for Christmas! always lovely work to see here! merry Christmas to you and yours jill-and a peaceful and creative 2015-with many gallery successes!